They say when life gives you lemons, you make lemonade. And I honestly couldn’t agree more, both with the figurative and the literal meaning. Lemon is a year-round delight in the kitchen. Is lemon juice in a bottle the same as fresh? Can you freeze lemon juice? How much juice is in lemon? How to juice a lemon? How to make lemonade with lemon juice? What is a good lemon juice substitute? Lemons are one of my top three favorite seasonings. It’s versatile and bright: to pair with fish, to balance the sweetness in desserts, in dressings to elevate greens. Leaves of the lemon tree go into fresh-tasting teas, the zest of the lemon doubles-down on lemon flavor in curds, pies and cakes. One wedge twist is one slim calorie, and it takes a whole cup of lemon juice to add 53 calories to a dish. The useful lemon goes beyond cooking too. Lemon oil in a DIY furniture polish makes the room smell like spring. Peel or slice lemons and toss with a cinnamon stick, and a dash of cloves into a pot of water on the stove on low for a natural mood-boosting potpourri. The more I have them around, the more I love them. Lemon, how I love thee. The answer is a big no. Fresh lemon is, well, fresher tasting, lighter on the tongue. 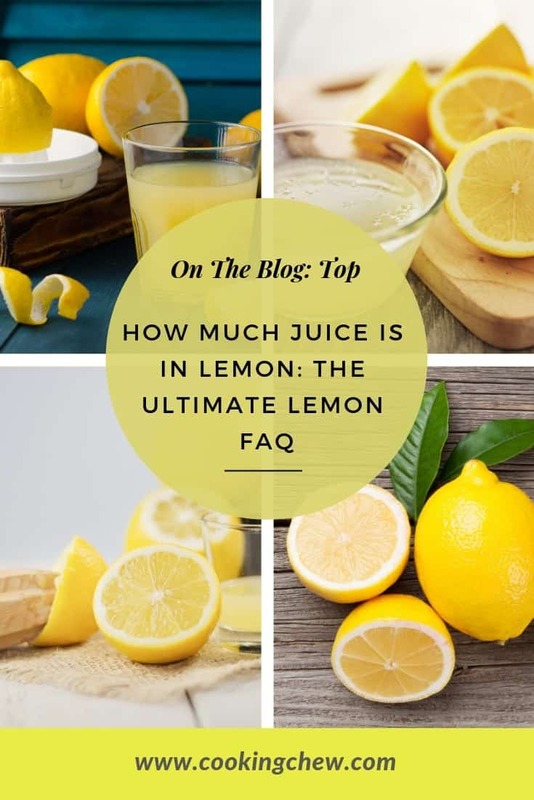 But lemon juice from concentrate has its uses -- grab the bottle from the pantry or fridge when you’re in a hurry to impart a splash of flavor with almost no calories and no fat (and no salt). 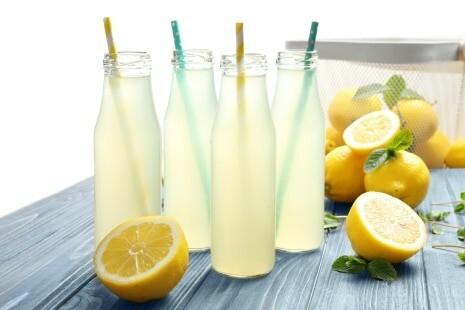 If you’re in a hurry to make a whole lot of lemonade, a big bottle of real Lemon may be the way to go. Fresh lemons keep longest in the refrigerator, but bottled lemon juice can keep for months without spoiling. Bottled lemon juice that’s been opened in the fridge is pretty hardy: You can count on it being good for over a year. 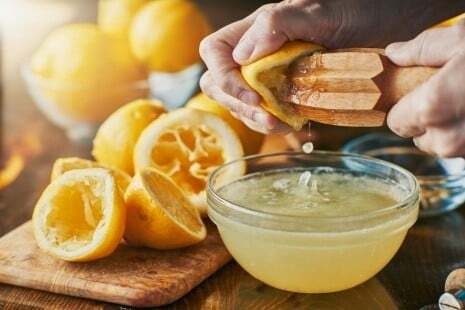 Fresh lemon juice from squeezed lemons, however, don’t have preservatives, so it’s probably safest to use up juice from fresh lemons within the week. I like to push my limits but if I give it a whiff and it has started to smell like pineapple that’s been sitting in the sun, or I stick a finger in it and it tastes vinegary, I toss it. Yes, you most certainly can. Pro tip: If you’ve had to peel a lot of lemons for, say, limoncello, and now have a dozen naked lemons on your countertop, cut and strain out the seeds and pour the juice into ice cube trays. You can pop out one at a time for a recipe or a cocktail, and they’ll be at hand for months in the freezer. ​Anyone who’s gone to get a lemon out of the basket or bowl after a few days and noticed how hard it seems can attest that the juiciest lemon is the freshest one. Their skins don’t do well at holding in their moisture, so lemons, as beautiful as they are, don’t stay good for long sitting out at room temperature. Every lemon is different, but you can pretty much count on a fresh medium-size lemon (weighing 3.5 oz) to give up 2 tablespoons of lemon juice. That same lemon will provide you with about one teaspoon of zest. I’m not sure there is a right way or a wrong way to juice a lemon, maybe just the most efficient way. Tools can be as simple as a butter knife or as specific as a glass-bottom juicer with colander. Got a butter knife in the drawer? Not a perfect tool, but with a bit of sawing, it will do the job. A paring knife is better and will take less pressure. 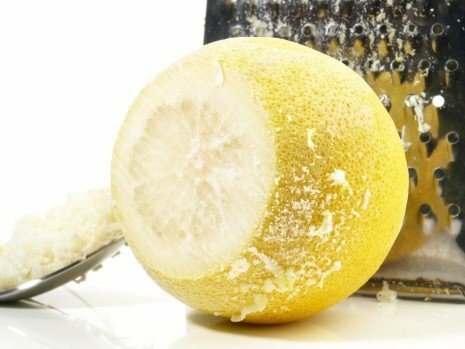 ​I prefer the one that sieves out the seeds for me and collects the juice at the bottom, particularly because I can use pressure from above to get a lot more yummy juice out of my lemons. There are other types too. See? More than one way to juice a lemon. Pro-tip: Clean your juicing equipment IMMEDIATELY, as citrus pulp dries quickly in the crevices and then needs a lot of soaking and scrubbing once it sits for a while. Roll each lemon across your countertop with the heel of your hand with a bit of pressure. Not enough to bust it open like The Hulk, just enough so you feel the lemon flesh give way a bit. This helps release the juice from the pulp inside. Slice your lemon into two, across the middle (width-wise, not length-wise). Be sure to hold the lemon wedge/half facing down and not at an angle over your destination. Squeeze with your fingers, and keep squeezing, using friction to bring out the juice. I love every part of the lemon so I often scrape the now-pulpy sides over the rim of the dish or glass to get some of the fruit, too. Note about the white, dry part of the lemon called the pith. It’s not flavorful like the skin/zest and not juicy like the fruit inside. It is bitter and can make other foods bitter. Similarly, you are also going to need your knives for this tutorial. Since you are going to be needing sliced lemons. Of course, you are going to be needing an equipment to house your lemonade. This glass pitcher would surely make a fine addition to your collection. With this, you would also be able to view the bright hue of your lemonade. Prepare one cup of your fresh strained lemon juice, one cup of sugar and 6 cups of water. Mix them together in the pitcher. Just mix and stir until everything has dissolved perfectly. Pro-tip: Heat up just one cup of the water and add the sugar to this hot water FIRST. It will dissolve the sugar fast so you don't have to stir the sugar/water forever to get the sugar to mix in. Then add this simple syrup to the rest of the water and lemon in the pitcher. Cut your whole lemons into thin slices (or nifty wedges) which you will use as a garnish and offer an extra squeeze for your lemonade. Add them to the pitcher afterwards, if desired, or to the rim of the glasses, or both. When serving, make sure you serve over ice. Delish! I’m definitely a biased yes. I once found the most delicious smelling lemon-scented potpourri oil at Dillards and I hoarded it for years. I love the feel of their pockmarked, shiny skin and the way the juice pops when I slice into them. I drink so much fizzy lemon water that I am (really) concerned about the enamel on my teeth. But in normal-person terms, the lemon is an excellent seasoning, and can replace the fat and salt in otherwise heavy dishes. On its own, it is high in vitamin C, and not much else. But it’s a life enhancer, in my opinion. Cleaning with lemon feels like a life-detox, enriching the home with happy, spring fragrance and clean spirit. It can de-tarnish copper pots when mixed with baking soda, deodorize garbage disposals (toss in the used rind) and bleach hair for a sun-kissed look, and remove stains from plastic storage containers. Lemon is listed on WebMD as an antioxidant, which can aid in digestion, blood pressure, inflammation, tinnitus, and a whole host of ailments. Most of us are probably familiar with the hot-tea-with-lemon cold “cure” and ginger & lemon digestion aids or throat lozenges. Lemon is a darn miracle—there, I said it. A lemon is a hybrid of a citron and a bitter orange. Sorrento lemons are popular in the making of limoncello. Buy them here. Preserved lemons, a specialty from Morocco, are cured in salt. Buy them here or make your own. Is lemongrass the same as lemon? No, lemongrass is a woody grass that smells and tastes a bit like lemon oil, often used to flavor Asian soups. Lemon is a citrus fruit that grows on trees. Can I use lemongrass instead of lemon? Sometimes, especially in Thai dishes. The citric acid in lemon is what helps keep some foods like apples and avocados from getting brown when exposed to the air. Meyer lemons, a yellow-orange color and slightly less acidic than regular lemons, are a cross between a citron and a pomelo. Depending on the recipe, the substitute for lemon juice may differ. For dessert or a sweet side dish, try lime or orange juice, or a combination of both. Grapefruit juice might work if used sparingly. For a salad dressing, try a white vinegar or apple cider vinegar (or any vinegar, really). For a soup or rice dish, consider lemongrass. As a salt substitute, try citric acid in dishes for a sour-salt finish. To bring out the flavor in seafood, maybe tartar sauce. Or make a light mustard sauce, using a prepared or dry mustard. Here’s a good recipe from Epicurious. Have luscious Copper Hill lemon-infused olive oil on hand for dressing, sauteing, even cake recipes and dipping sauce. 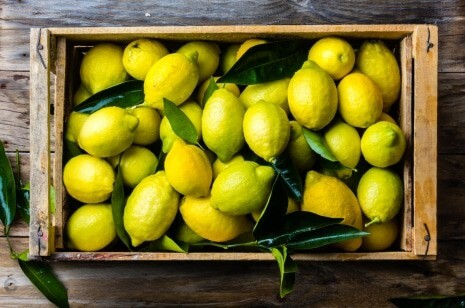 Lemons will definitely add “zest” to your food and freshness to your home. 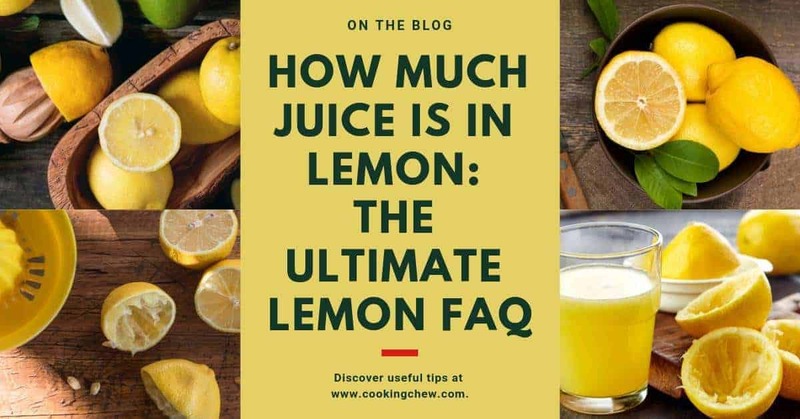 Having said that, I hope this tutorial has helped you identify and answer all the questions you had regarding lemons and lemon juice. May you find the “zest” in life and get that glow! There you have it, folks! I hope you enjoyed this article. Should you have any other comments or suggestions, please do not hesitate to leave them below. Are You Curious If Your Tamales Are Gluten Free?